A verbal argument between neighbors on Tuesday led to gunfire, an evacuation, a SWAT standoff and the eventual arrest of a Pahrump man. By Selwyn Harris Pahrump Valley Times sharris@pvtimes.com. Troy Steiger, 45, was preliminarily charged with assault with a deadly weapon, discharging a firearm where a person might be endangered and nine counts of possession of a firearm by a prohibited person after a three-hour standoff ended peacefully. Nye County Sheriff’s deputies were dispatched to the corner of Blagg Road and Cottage Grove after a woman called 911 to report she was shot at by a man at a nearby residence. The woman, who was not injured, reported she was involved in an argument with one of the residents at 131 S. Bristle Cone Drive. 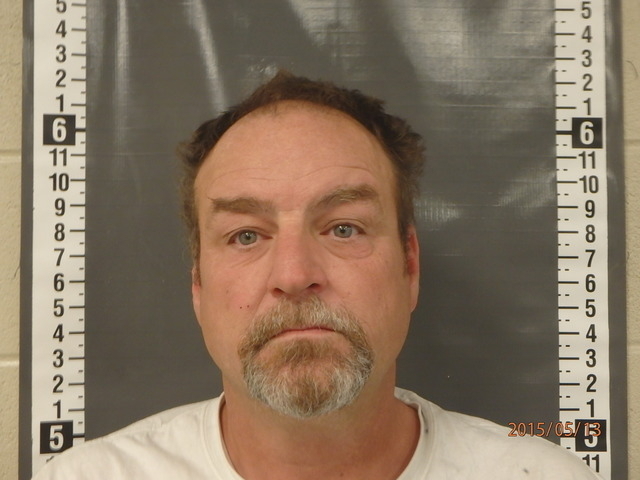 Nye County Sheriff’s deputies said Steiger fired twice into the ground in front of the woman before she fled the scene and called 911. Deputies said it appeared Steiger was hiding on the property and believed to be armed with an assault rifle. As a result, members of the sheriff’s department’s SWAT team responded while all nearby residents were evacuated. According to a sheriff’s department press release, a negotiation team began an attempt to communicate with Steiger to urge the man to comply with deputies. The operation lasted three hours before Steiger was located and taken into custody. The release stated Steiger was interviewed and admitted to firing into the ground in front of the woman although her actions did not merit deadly force. Steiger was also found to be a convicted felon and therefore prohibited from being in possession of firearms. A search warrant was served on the premises and Steiger was found to be in possession of nine firearms, which were subsequently seized. Steiger was booked and held on $52,500 bail.